PN Cadet for Permanent Commission in Term 2018-B at Pakistan Navy (PN) in Abbottabad, Dera Ismail Khan, Faisalabad, Gilgit, Karachi, Lahore, Multan, Peshawar, Quetta, Rawalpindi, Sialkot, Sukkur, Swat, Muzaffarabad, Shaheed Benazirabad, and Gwadar Cities. Pakistan Navy is a Government Organization which requires employees for Cadet, and Commission Jobs in cities Abbottabad, Dera Ismail Khan, Faisalabad, Gilgit, Karachi, Lahore, Multan, Peshawar, Quetta, Rawalpindi, Sialkot, Sukkur, Swat, Muzaffarabad, Shaheed Benazirabad, and Gwadar. 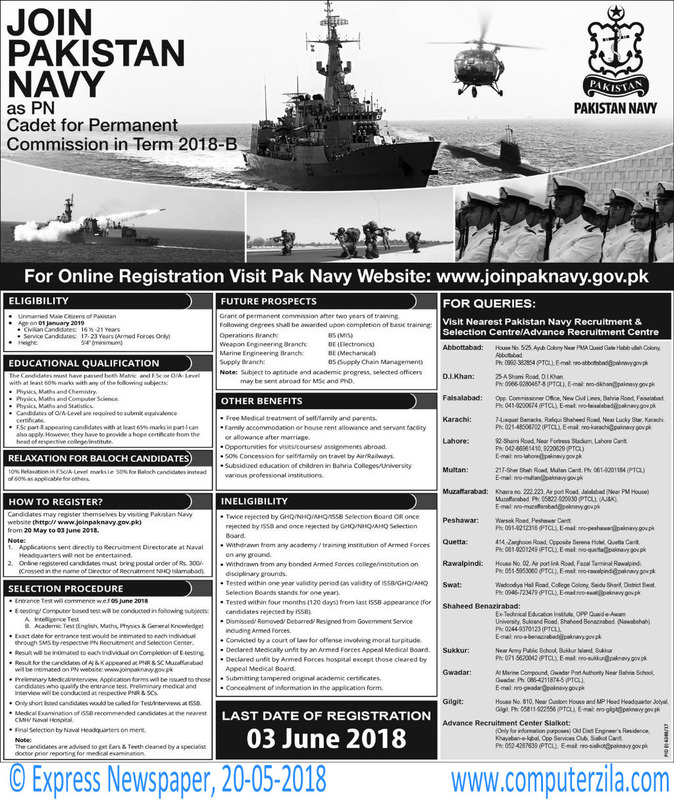 Join Pakistan Navy as PN Cadet for Permanent Commission in Term 2018-B.